Every Saturday between 9 am and 5 pm, Temple Bar Food Market, which is located on Meeting House Square, offers its visitors an organic food paradise. Undoubtfully, the visitors are enchanted by the wide range of food stalls. In the centre of the Square, there is a magical apple stall that catches visitors attention with its smell. If they follow the smell coming out of the steaming pot, they may discover something new: mulled apple juice! Llewellyn Orchard’s stall sells Ireland’s original spiced apple juice under their brand name, Orchard Glow. When it is heated up, it can overtake the popularity of mulled wine! Hopefully, the visitors have a chance to taste organic mulled apple juice at its market stall. “This is our unique recipe of spiced apple juice, which makes a surprisingly delicious and warming alternative to mulled wine. Basically I developed this recipe towards the end of the last century. 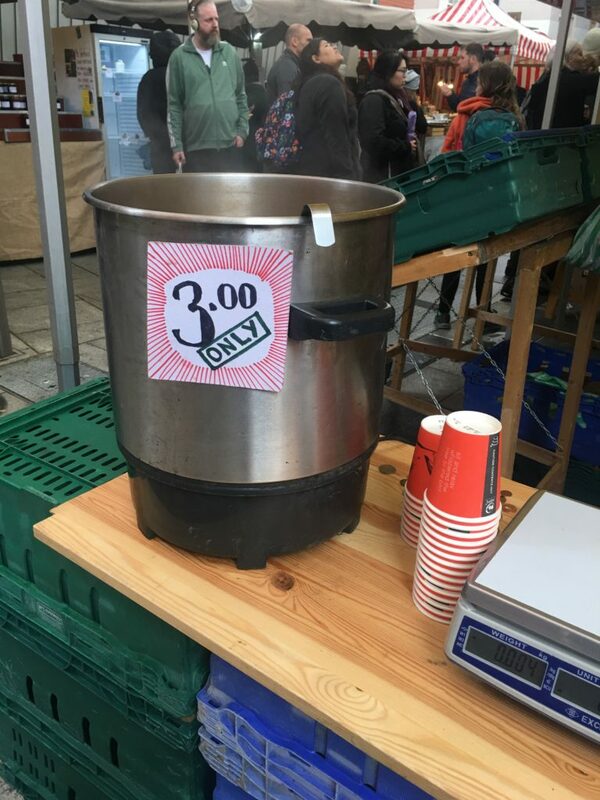 I certainly seem to have hit on something good, as it’s the trademark many people seem to remember our Market Stall for, especially in cold weather, and quite a few customers make the pilgrimage to the Stall just to get their hands around a hot cup of Orchard Glow. We prepare the Orchard Glow each market day fresh at the Stall, and serve it hot in paper cups. Moreover, the Circular had a chance to ask some questions about mulled apple juice to our dietitian, Zeynep Ozyuvali. The Circular: What are the health benefits of mulled apple juice? Zeynep Ozyuvali: Firstly, mulled apple juice is more delicious and healthier than other juices like fizzy drinks and instant drinks. It can be consumed once or twice a week. It contains cinnamon and cloves which balance the blood glucose in the body. Cinnamon’s other effect is lowering HDL (bad cholesterol), and clove treats oral diseases. Also, it contains nutmeg which is anticarcinogenic. Furthermore, it is recommended to the people who are stressful and have sleep disorders for including it to their diets. The Circular: How many calories in that whole recipe given in the video? Zeynep Ozyuvali: Totally, 1400 kcal. The Circular: Who should not drink mulled apple juice? Zeynep Ozyuvali: When we have intestine problems like constipation, we should consume the fruits with their pulps. In this recipe, the pulp of the fruits is filtered. Therefore, it can trigger the intestine problems. Also, instead of brown sugar, I suggest adding natural flavouring like maple syrup, stevia or honey. Besides this, everyone can drink mulled apple juice as long as they are careful with the portion. Feel free to ask questions to our dietitian by commenting below! 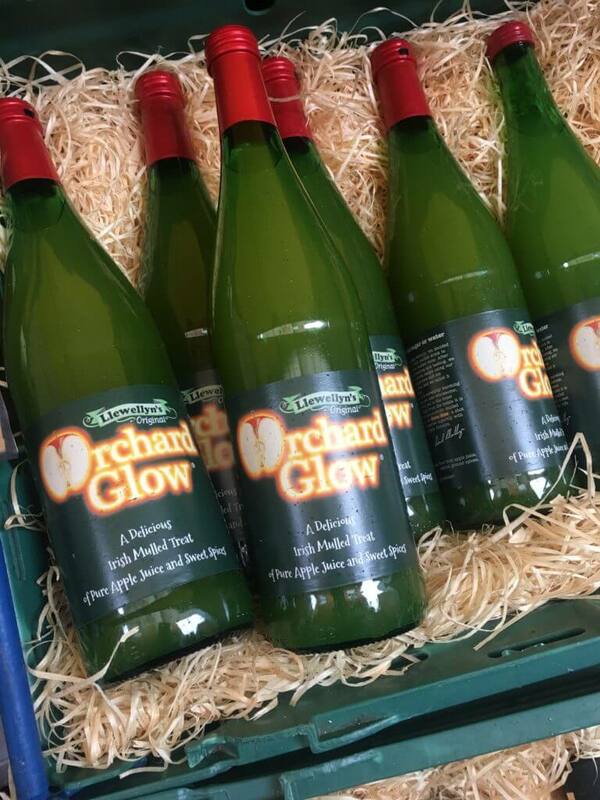 The Circular highly recommends tasting delicious Orchard Glow’s mulled apple juice at its market stall.